ResellerClub, a global provider of shared web hosting, cloud hosting, dedicated servers, and VPS hosting, part of Endurance International Group, has rolled out its ‘F3.Space Web Design’ contest – powered by Radix – to their community of web professionals. 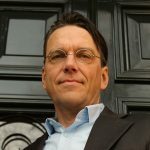 The contest is open to website designers worldwide and offers prizes worth $30,000 – including weekly and monthly winners. 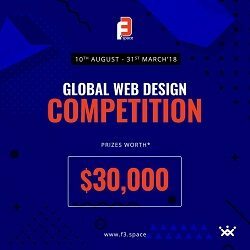 The web design contest started a few months ago and will end on 31th March 2018. The F3.Space Web Design contest powered by Radix invites small and medium agencies, freelancers and anyone with an inclination toward web design to participate and showcase their talent. The rule being, the website submitted for F3 should be on any one of the Radix domain extensions, namely ONLINE, .TECH, .SPACE, .STORE, .PRESS, .SITE, .WEBSITE, .HOST or .FUN. An expert panel will evaluate the entries to the F3.Space Web Design contest which includes judges like Chad Borlase, Group Creative Director at SapientRazorfish; Laura Müller, UX Lead at MetaDesign, and Hakarl Bee, Group Creative Director at RAPP. Entries will be evaluated on 3 criteria – form, function and flair (F3). Along with these criteria, the contest also has a social angle wherein the entries are open to public votes that would add weightage to the evaluation. Web hosting provider ResellerClub is part of the Endurance family of brands which also includes: Constant Contact, Bluehost, HostGator, iPage, Domain.com, BigRock, SiteBuilder and SinglePlatform, among others. Headquartered in Burlington, Massachusetts, Endurance International Group employs over 3,600 people across the United States, Brazil, India and the Netherlands.